This is my love of my life, a 1993 Mitsubishi 3000GT SL! 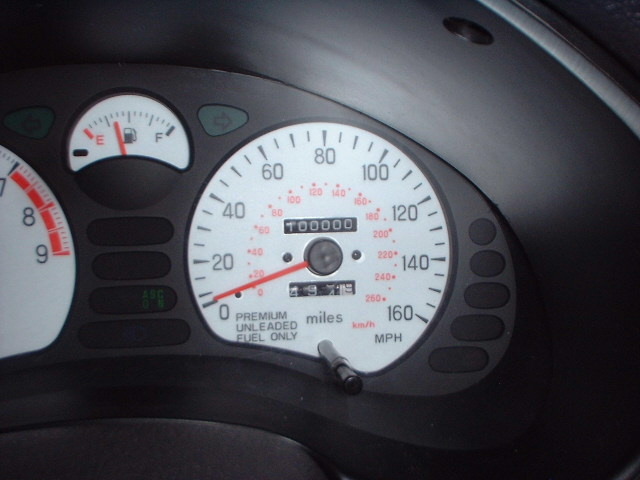 I purchased this car in July of 2001 from a local Ford Dealership. At that time it had 81,000 miles on it. 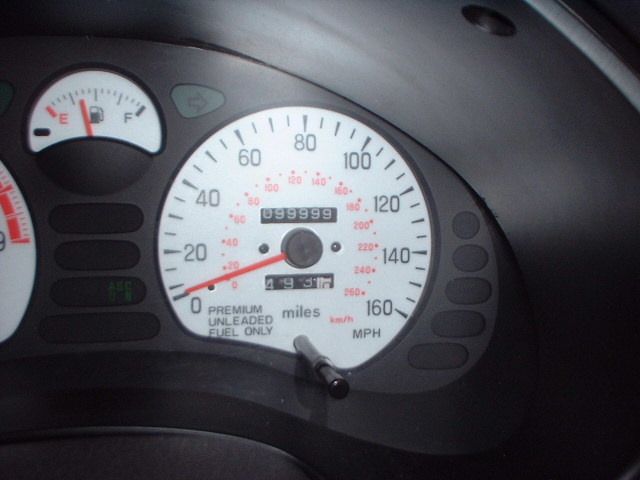 Just last week the car turned over to 100,000 miles, here are the pics. Currently i have new indiglo gauges install, well half way and also created some green snake eyes, pics comming soon.